Hammerworks Colonial Brass Dining Room Chandelier CH100 creates a warm & inviting ambiance. Most noteworthy we handcraft this exquisite 2 tier 12 arm chandelier in solid antique brass. 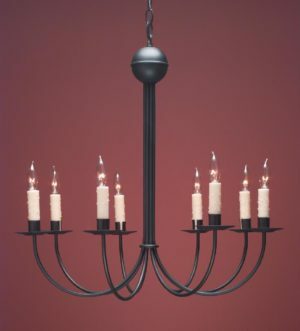 Due to its’ size this chandelier is ideal in a formal dining room. In addition it is equally impressive in a foyer or great room. As a result this Colonial Brass Dining Room chandelier shows well in any formal 18th century setting. Furthermore we create each Colonial Brass Dining Room chandelier by hand. Therefore it results in heirloom caliber lighting. Most of all we promise to deliver quality & craftsmanship one light at a time. Finally due to our quality, value & style Hammerworks is the clear choice when purchasing a Colonial dining room chandelier. For a distinctly primitive look our Colonial Pierced Tin Chandeliers are another great choice for your reproduction period home. Of course as with all of our Early American lighting, we apply the punched design completely by hand. The result is a charming reflection of the piercing on the ceiling. You will love the unique ambiance it creates! In addition these pierced tin chandeliers are available in antique tin or brass finish, with a variety of arm configurations. Also there is a “down light” in the center cone for added illumination. Furthermore we make the Colonial Punched Tin Witch’s Hat Chandeliers without the punched design if you prefer. 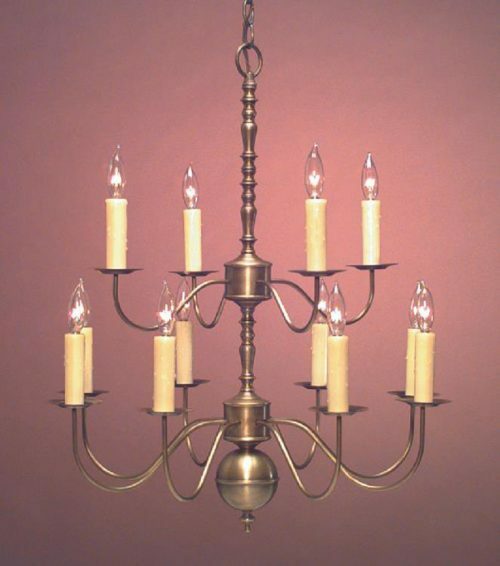 No matter what, whether you want a primitive or formal look, we have a Colonial Tin or Brass Chandelier for you. 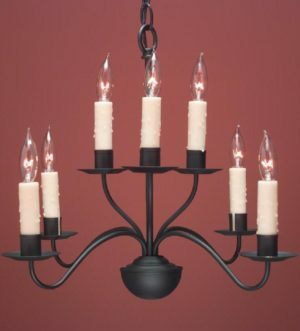 In addition to our Colonial Tin & Brass styles, we offer a variety of Colonial Wooden Chandeliers. Because each wood center chandelier is made to your exact specifications you will receive a truly custom chandelier. With a multitude of sizes, arm configurations and color choices, the options abound. Thus you will find majestic Elegant Colonial Chandeliers with 2 tier 16arms to the petite 3 arm CH103A with many others in between!